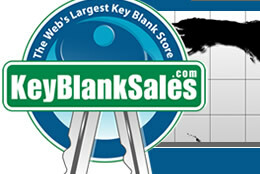 Web's LARGEST Wholesale and Retail Key Blank and Key Machine SuperStore - Wartian Lock Co.
Home > Key Blanks > Shop by Manufacturer > Wartian Lock Co. Equivalent to 1170B, HO3, 170C, CHL-1, HOL1R, 5HO1, 170. Fits Hollymade, Atlas, Challenger and Wartian Lock.